It was a wild night when we humans gathered for a special event at the Boom Boom Club to launch the latest album by the Steve Eggs Band. But then it’s always a wild night when fans assemble to cheer on the group and even dance in the aisles whenever they hit the stage. The SEB headlined at the Sutton based venue hosted by ace promoter Pete Feenstra on February 8th, 2019. They played not just one but ALL of the songs from We Humans, the band’s magnum opus already hailed as one of the best albums from a British group this year. Or any other year. Produced by Andy Brook and mastered by Pete Maher, the set of eleven songs was recorded at the Brook Studio, Wallington, Surrey. The band says it has taken them four years to make their 11 track masterwork, if you include time allowed for Steve to write all the songs. How come? Well these are not throwaway rock tunes. They carefully conceived compositions, arranged, refined and perfected at rehearsals, ‘live’ gigs and now in the studio under the expert supervision of Andy Brook, who has recorded many top stars including Francis Rossi of Status Quo. 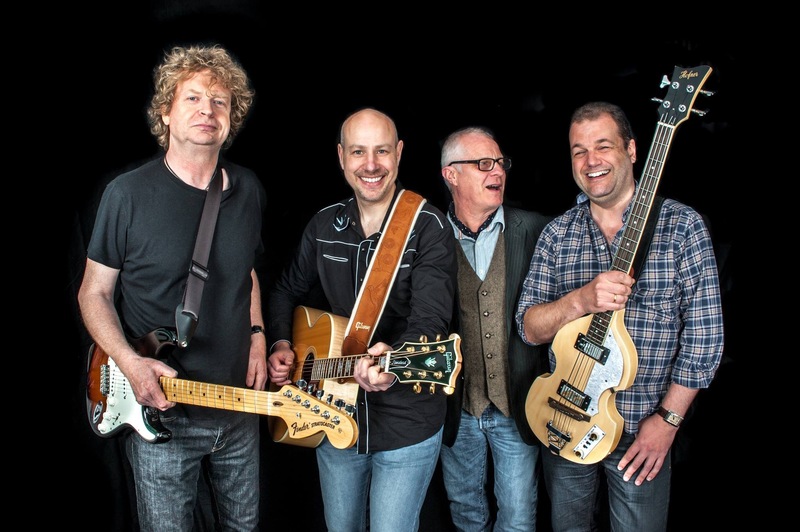 New listeners should be advised the band’s line up features Steve Eggs (vocals, guitars, piano and harmonica), Jon Kershaw (guitars and vocals), Peter Wass (bass, vocals, guitars, banjo and keyboards) and Mark Taylor (drums and vocals). Now read on as we visit the album – track by track. Their opening salvo Slipstream, was released earlier as a single and has quickly become one of the band’s most popular show stoppers. 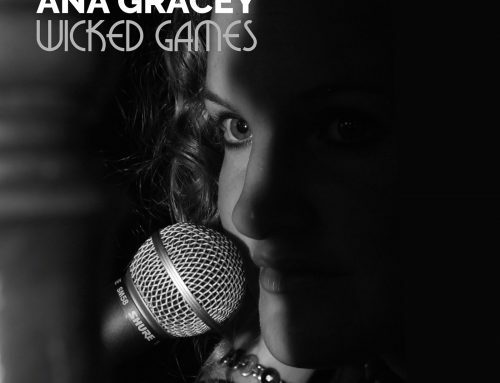 A striking chordal introduction builds up our expectation and leads into the kind of anthem audiences like to sing-along word perfect at Glastonbury, where incidentally the band should also be headlining. The atmospheric Ghost Train starts with a special effect, the ghostly sound of piano strings being scraped, one of the more eerie séance-like moments devised during a wet afternoon’s recording in Wallington. Ominous clanging chords herald the arrival of the first passenger on the train, our Steve singing those personal, conversational lyrics that get right to the heart of the matter. The train driver is Mr. Kershaw, who’s electrifying guitar showers the journey through darkness with sparks and the wheels keep turning thanks to Mark’s ever present drums and Peter’s s melodic, motivating bass lines. Watch out for an extraordinary grand finale when cascading chords hint at a safe arrival and reconciliation at the end of the line. Harmonica and banjo courtesy of Captain Eggs and First Officer Wass enliven the otherwise tragic tale of The S.S. California. Prepare to set sail on an ocean liner that suffers a terrible fate on its voyage to New York and the land of dreams. Lurking beneath the waves is a U-Boat that sinks the ship and all its passengers. Based on a true story, this is one of Steve’s narrative tales that capture the imagination with a poet’s touch and a folk singer’s charm. Acoustic guitars and a touching melody usher in another sea faring Eggsian ballad Far Away jointly composed with Peter and performed with gentle sensitivity. Steve takes a boat to cross the sea and leave his love behind. ‘You’ll miss me when I’m gone…like the setting sun when the day is done, you won’t see me again…’ Suddenly there is a brief burst of hope as the lead guitar casts a search light over the waves piercing the darkness, only for it all to fade away, leaving a glimmering harmonic footnote. Hot guitars return to roam across the landscape of a tune quaintly entitled The Ballad Of Wah Wah Banjo, a surreal way of presenting a tremendously powerful song that could have been called Nobody Makes It On Their Own in honour of the chorus line. ‘Sometimes you lose, sometimes you win….’ sings Steve summing up the need for we humans to rely on others for help in the battle for life. Jon’s out standing wah wah driven guitar solo explodes into action, giving all the help anyone could ask for in the quest for salvation. As the song reaches a climax the whole band joins in a joyful celebration. (Watch out for a mystery voice in the mix reminding us that indeed nobody makes it…on their own). Steve’s poignant harmonica heralds Darlin’ one of those stirring, heartfelt songs that could be sung over the final credits of a Hollywood block buster or at a concert in the Royal Albert Hall with choir and orchestra. But who needs strings when you’ve got a trusty mouth organ and a great band? Hey, how about some rock’n’roll? Yep It’s Alright leaps into the fray and is guaranteed to get dancers turning cart wheels across the floor. Jonny The K’s guitar solo is so rockin’ it sends shivers down the spine, while Mark Taylor’s drums pound with percussive fury. Terrific fun and we predict a juke box hit from Austin, Texas to the Ace Cafe on the North Circular. Here is an acoustic song of hope and comfort where Steve promises to catch the tears that fall at his feet and offers to pick up the fallen. ‘I will keep you walking in a straight line and lead you through these troubled days…because I’m here’. After this restful interlude it’s back to beer and hotdogs at the Ace Cafe for Love & Grace yet another SEB classic underpinned by Jon’s slide guitar at its country pickin’ finest. Peter and Mark add backing vocals to the rocking and rollin’ before the irresistible tune takes a graceful final bow. But hark. There is more. 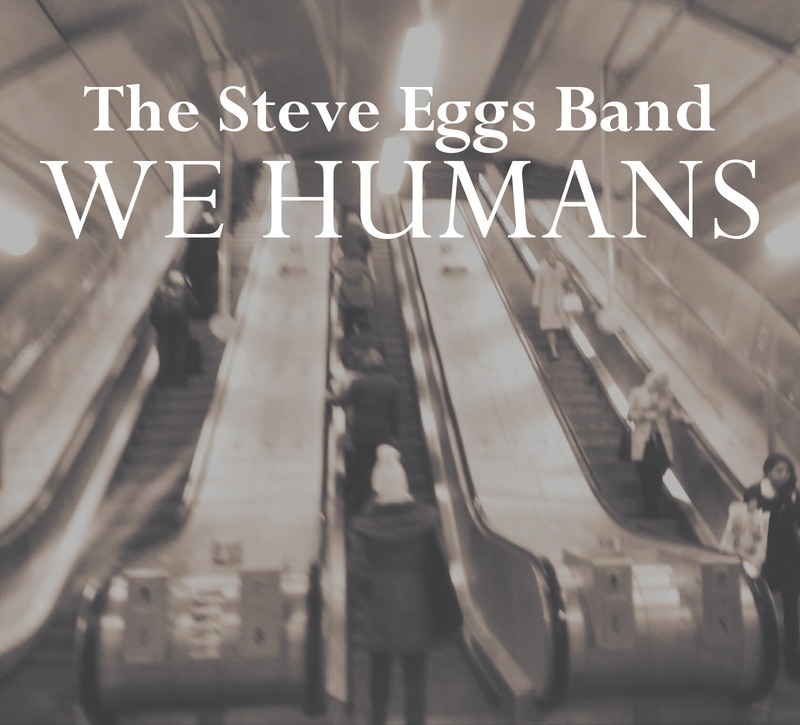 We Humans, one of Steve’s finest compositions, is enacted with great passion over a swaying three four rhythm, interspersed with pregnant pauses. Sometimes it’s hard to tell if it’s the lead guitar or Steve’s voice actually singing, both blend so well together. Jon takes us out with a solo of great ingenuity filled with flourishes that send the piece on its miraculous journey. We Humans, the song and the album. Play it. Savour it. Feel fulfilled.